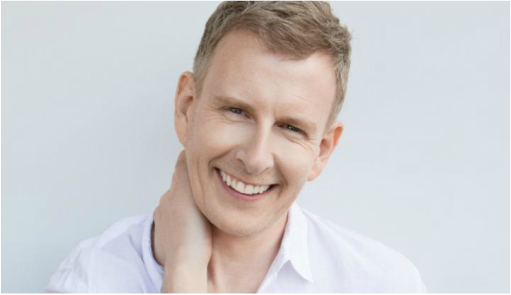 His sense of humour and vibrant personality makes Patrick Kielty a great spokesperson. His stories and inspiration makes him ideal in the category of comedy spokespeople. Below is an example of Patrick Kielty talking to BBC Wales about Guinness. If you're interested in a comedian for any radio or TV interviews please get in contact with us. Patrick Kielty (born 31 January 1971) is an Irish comedian and television personality from Dundrum, County Down, Northern Ireland. Kielty began performing regularly while a pupil at St Patrick's Grammar School, Downpatrick, which holds an annual holiday concert. Kielty was persuaded to take part by a Games master who spotted his impersonations of local politicians, celebrities, and sportsmen. His professional career started while he was still a psychology student at Queen's University of Belfast. He became well known locally for his edgy stand-up comedy routines at The Empire pub comedy nights, called "The Empire Laughs Back" started by him and fellow student Jackie Hamilton, who went on to become a BBC producer. One such routine, an early indication of his willingness to push boundaries, involved donning a balaclava and making spoof paramilitary pronouncements. In the early 1990s, Kielty won the Guinness Entertainer of the Year in INF Warrenpoint, an event fronted by Sean Mallon. In 1993, Kielty presented the show SUS on UTV. He later became the warm-up act for a BBC Northern Ireland programme, Anderson on the Box, presented by local personality Gerry Anderson. When this show was axed, he presented its replacement, PK Tonight. Although this ran for only a year and was only shown in Northern Ireland, it did attract the attention of London-based broadcasters, winning him the "Best Newcomer" Award at the 1996 Royal Television Society Awards. In 1997 he set up the Belfast-based TV Production company Green Inc with TV director Stephen Stewart, making shows such as "The Afternoon Show", "Patrick Kielty Almost Live", and "Ask Rhod Gilbert". It was reported in 2010 that Kielty had sold his share in the company. He also presented a series of After The Break. He did an impersonation of Martin McGuinness (who bears a slight resemblance to Art Garfunkel) singing the Simon and Garfunkel song, "Bridge over Troubled Water". Shortly afterwards Kielty was cautioned by Police in Dublin for illegal “after hours” drinking with his friend, former Radio One DJ Chris Moyles. However, he continued to appear on national television, mostly light-entertainment shows such as the BBC's Fame Academy, Comic Relief does Fame Academy and Love Island for ITV in both 2005 and 2006. ​On June 21, 2003 Kielty hosted the Opening Ceremony of the Special Olympics in Croke Park, Dublin, to a reported global audience of 800 million viewers. Other participants included Nelson Mandela, Mohammed Ali, and U2. Shortly after, following a charity event in Ireland Kielty shared a helicopter with astronaut Neil Armstrong to travel to Shannon Airport, during which the helicopter narrowly avoided crashing after flying into an electrical storm. In 2006, he hosted a segment on ITV's coverage of The Prince's Trust 30th Birthday LIVE alongside Kate Thornton. He hosted the original pilot series of the American version of Deal or No Deal for ABC in early 2004. However, ABC decided against airing the series, which ended up on NBC, with Canadian comedian Howie Mandel as host.